The Florence Residences is the first mega launch in 2019! The reaction of buyers will reflect the sentiment of the market. In this review, I will show you some facts and analysis. Please follow Quick Links or feel free to contact us for latest movement or register your interest. 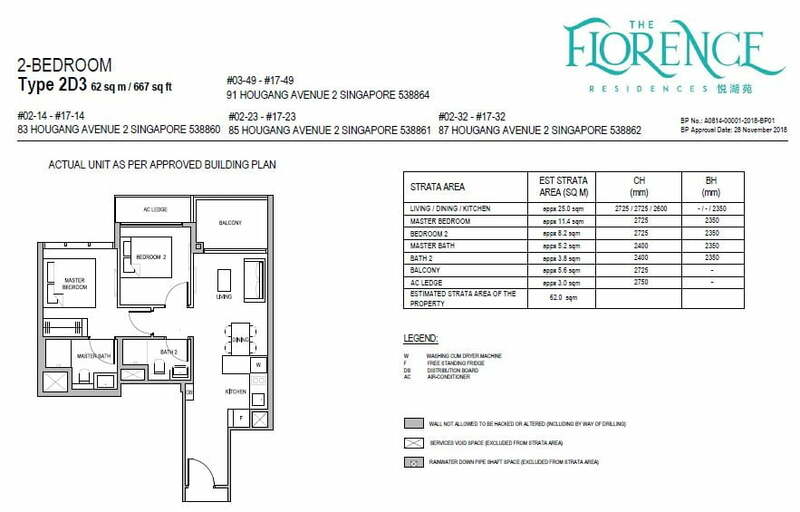 The Florence Residences showflat is expected to open on 16 Feb 2019. The en bloc fever over the past few years saw many HUDC projects collectively sold and redeveloped into new condominiums. 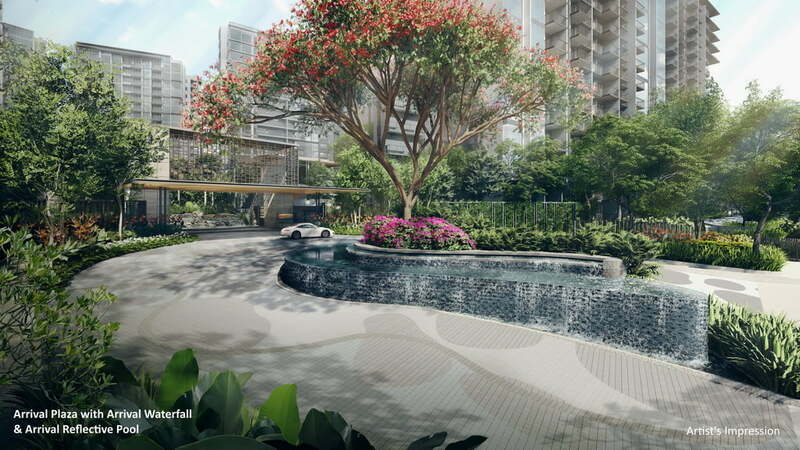 District 19, specifically in Hougang, will have its final 2 HUDC developments make way for brand new mega condos: The Florence Residences in Hougang Avenue 2 and Riverfront Residences in Hougang Avenue 7. 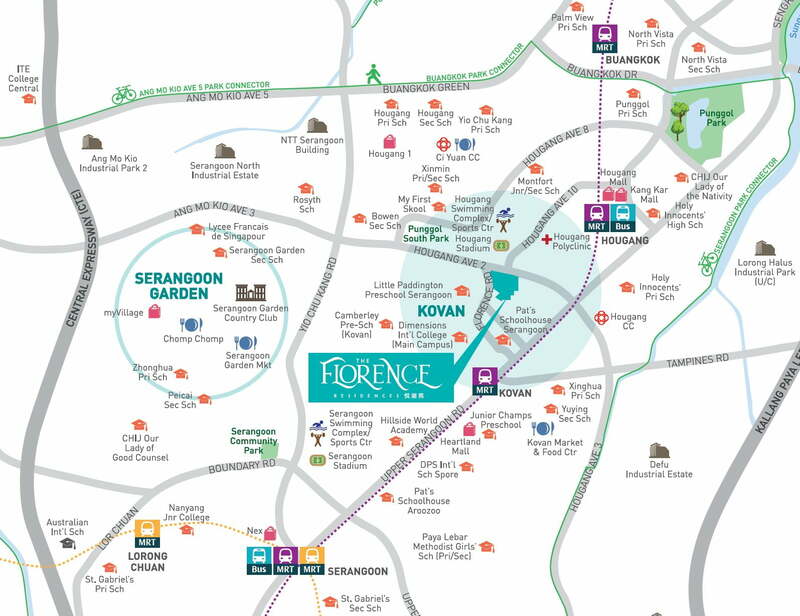 Following its successful maiden venture with Stirling Residences last year, Hong Kong-listed and Shenzhen-based Chinese property firm, Logan Property, kickstarts the 2019 property market by launching Florence Residences in Singapore’s Northeast. 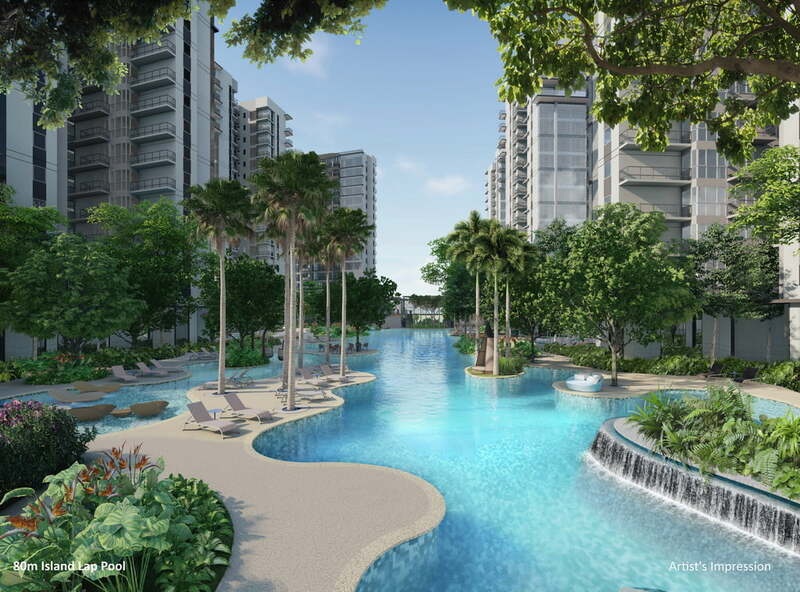 Formerly Rio Casa, Riverfront Residences is one of the top-selling project jointly launched by developers including Oxley Holdings and Lian Beng Group, the same consortium that brought you Affinity At Serangoon, another HUDC redevelopment. 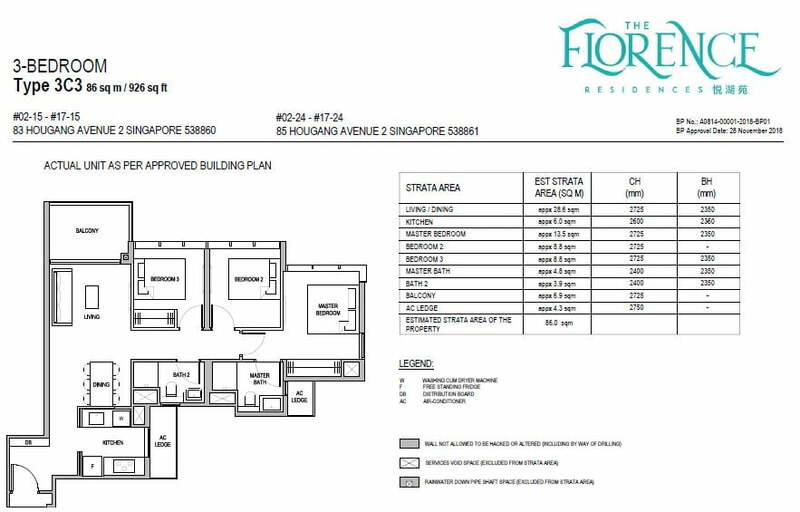 Nestled between Hougang Central and Kovan along Hougang Avenue 2, Florence Residences is redeveloped from 389,236 sq ft former HUDC Florence Regency. 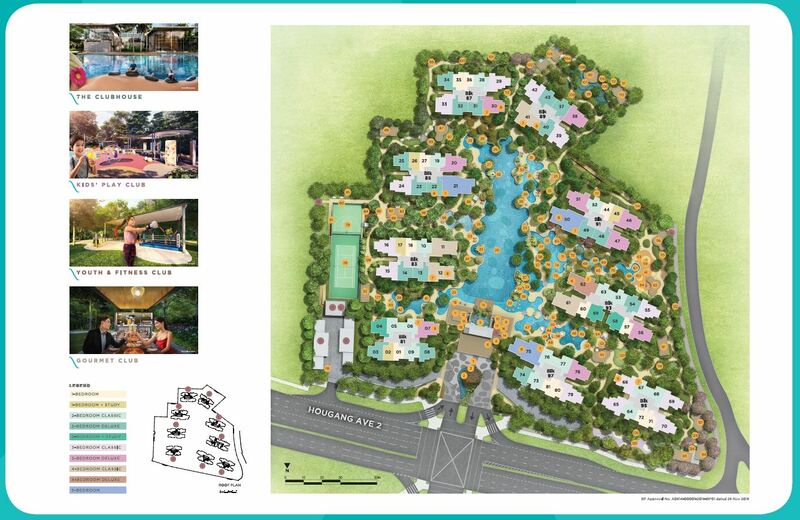 By strategically located between 2 major neighbourhoods in Hougang, residents will get to enjoy the wide-ranging amenities that both neighbourhood offers. This includes both existing Kovan and Hougang NEL stations. On the south of The Florence Residences is Kovan, a mix neighbourhood of private and public housing separated Upper Serangoon Road. Kovan is served mainly by Kovan City, which boasts a wet market/hawker centre, 2 major supermarkets, Heartland Mall and many HDB shophouses. Hobbyists will also find plant nurseries and bowling centre at Kovan City, and Kovan Sports Centre a great place to spend their weekend afternoons. Be spoilt for choice with food options. Kovan has not only fast food outlets McDonald’s and KFC, but also a wide variety of traditional and modern delights. Kovan City itself sees popular hipster café Hatter Street and Thai BBQ 888 Mokata setting outlets there, while nearer to Florence Residences, along Upper Serangoon Road, sees dinner/supper haunts including Teochew porridge stalls, curry rice and the famous Ponggol Nasi Lemak. Northwards in Hougang Central, you get to enjoy even more amenities, starting with Hougang Sports Complex across the road at Hougang Avenue 10. Hougang Polyclinic is also conveniently located further down the same road. The main Hougang Central is already served by a network of transportation: bus interchange, NEL and the future CRL. If shopping at Heartland Mall has limited options due to size, then heading either direction to Hougang Mall or Nex @ Serangoon will complete your shopping experience. There are also good and reputable primary and secondary schools in Hougang Central area, namely Xinmin, Monfort and Holy Innocents’. It is definitely no lack of options to pick the right school when living in Florence Residences, especially when these schools are within 1km radius. Travelling around Singapore is also convenient from the development. From NEL in Kovan, you can reach the city in no more than 20 minutes, with connections to other MRT lines along the way. Hop on to bus services along Hougang Avenue 2 to places including Yishun and Bedok. For motorists, CTE and KPE is just 5 minutes away from either directions via Hougang Avenue 2. 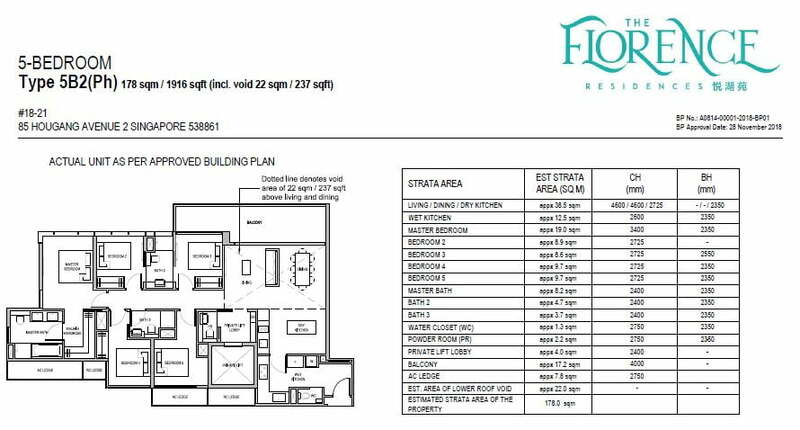 Looking at the site plan, Florence Residences seems compacting all 9, 18-storey, blocks due to its almost square-shaped land size. However, entering the condo premises does not feel less grand at all. Residents and visitors will be greeted by waterfall and reflective pool at the Arrival Plaza. 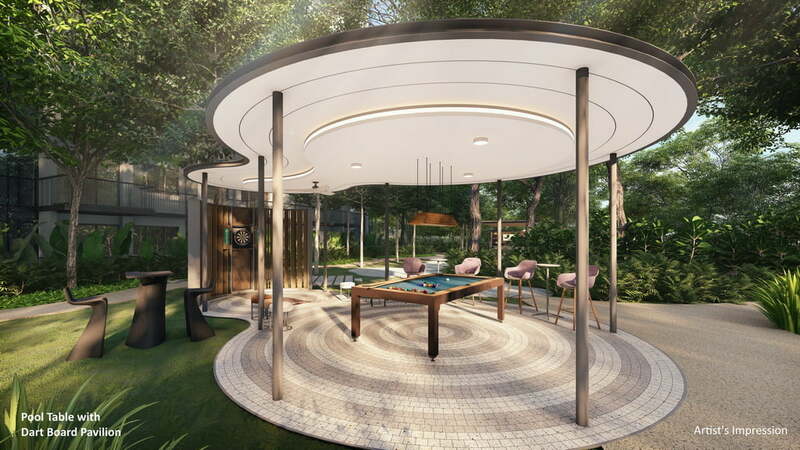 Navigating around the condo grounds, you will see a 80m island lap pool in the middle, facing the Arrival Club and Clubhouse, making it the central attraction for The Florence Residences. The lap pool extends itself into smaller pools right to the doorstep of most blocks. To ensure maximum privacy for residents away from adjacent buildings, tennis and multipurpose courts are built next to Block 83 as a buffer from the HDB blocks. Ponds and gardens are also cleverly located behind Block 89 to provide privacy for its residents and residents from The Florentine. 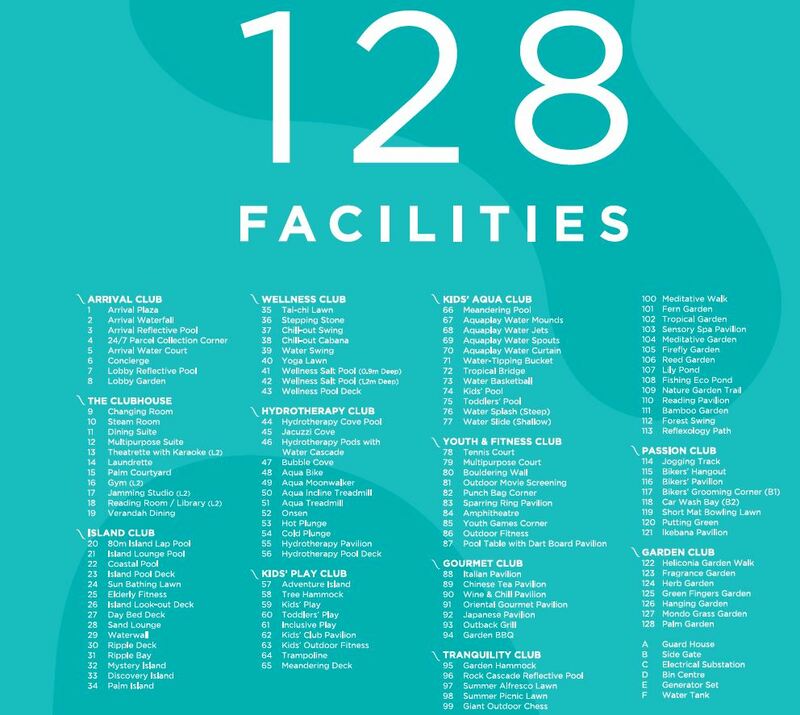 Touted as club-condo concept living, there are as many as 128 facilities in 12 theme clubs in the development such as Mystery Island, Wellness Salt Pool, Sparring Ring Pavilion, Trampoline for kids, Short Mat Bowling Lawn and even Outdoor Movie Screening. In addition, residents living in 5-bedroom units will also have their own private lobby to access private lift to their apartment. It is also good to note that for this 1,410-unit development, the developer is generous by allocating an equal number of carpark lots in the basement, excluding handicapped lots. 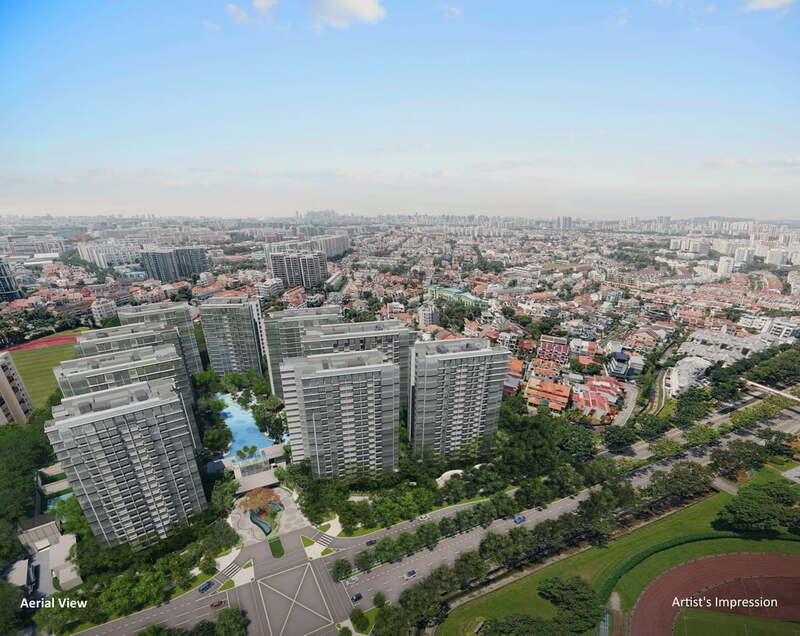 Moreover, most units get to enjoy a rare 270-degree unblocked view due to the presence of Hougang Stadium at Hougang Avenue 10 and landed houses off Florence Road. Typical views from most units are Hougang Central, Kovan, Upper Serangoon and even as far as Central Singapore. A total of 1,410 units ranging from 1 to 5 bedrooms are available for selection, you can be assured of an ideal unit type for your desired investment. All units also come fitted with the latest smart home technologies including lockset and CCTV. 5-bedroom itself has 48 units spread across every level on Blocks 85, 91 and 97, each with its own private lift lobby and powder room next to it. Units on level 18 even has high ceiling in the living/dining areas to emphasize on its opulence. The main highlight of the 5-bedroom unit is its spacious master bedroom that includes a separate walk-in wardrobe. The walk-in wardrobe will lead to its luxurious master bathroom featuring premium sanitary fittings from Roca and Grohe, with provision of two wash basins, a bathtub and a shower area. The balcony in 5-bedroom unit links up the living/dining area with Bedroom 3. This design is exclusive to this unit type only. The location can justify the difference in pricing, as the nearer to town the higher the premium it commands, in general. Buyers who are looking for more affordable options, can consider Riverfront Residences, which is the lowest price new launch in District 19 now. 1. 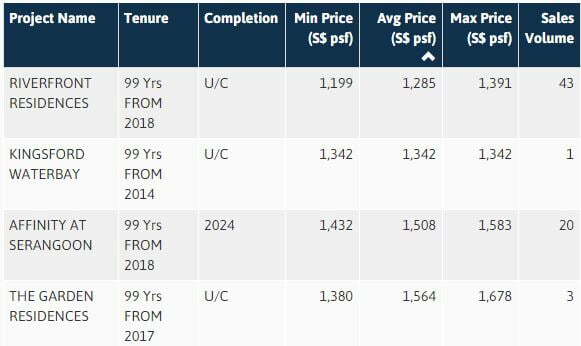 Comparing with similar sized projects such as Riverfront Residences, the distance between blocks in the Florence Residences is indeed tighter, especially between Blocks 87 and 89. 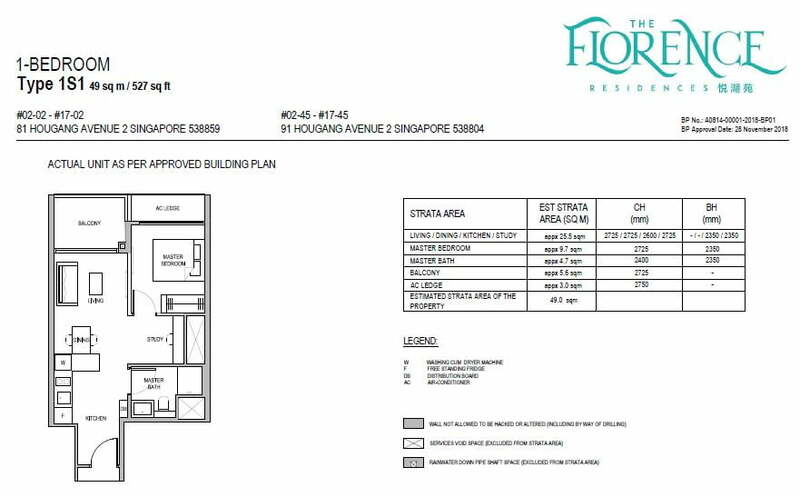 This might not sit well with residents knowing that while they are buffered against HDB flats and The Florentine, their units are very close to their own neighbours. 2. Hougang Avenue 2 is a major road with regular flow of traffic coming from both directions. Traffic noise therefore, cannot be avoided for Blocks 81, 97 and 95 as they are nearest from the main road. 3. Although all units in this development are north-south facing, Blocks 89, 91, 95 and 97 are tilted at an angle. This is more pronounced for Block 89 and balconies will be exposed to some afternoon sun. 4. Paya Lebar Methodist Girls’ School is not mentioned alongside the many reputable schools of Hougang because the distance from Lorong Ah Soo to The Florence Residences is slightly above 1km radius. However, they are well-connected by direct bus service 62 or 5 minutes of driving. I am interested in The Florence Residences! Please contact me. 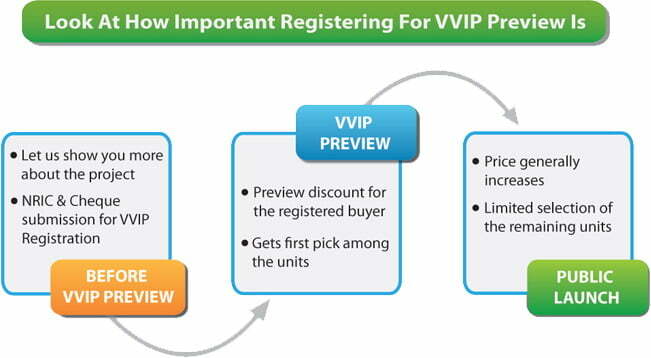 I would like to register for VVIP preview / showflat viewing.